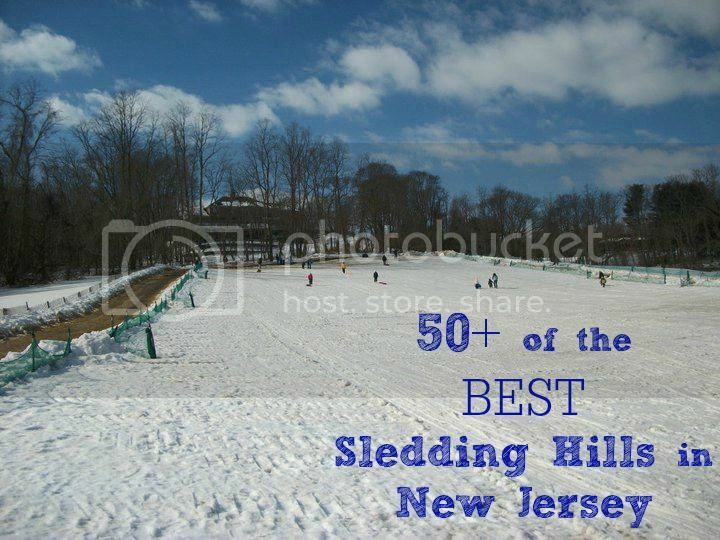 The best way to find the best sledding hills New Jersey has to offer? Through other moms! #NJMOM asked our readers where their favorite sledding hills could be found. For many of our moms, these are locations they have been enjoying since their own childhoods. “Our favorite is the EHT Nature Reserve [in Galloway].” – Marci L.
T.J. Hill in Fair Lawn, between HB Milnes Elementary and Thomas Jefferson Middle School on Morlot Ave. What’s cool about this hill is that there’s two. So, you go down the first and there’s a bit of a flat spot and then there’s the next. If you have enough speed you can really fly!” – NJMOM Regina P.
“Hands down Laurel Acres Park in Mount Laurel.” – Michele C.
“My husband raves about sledding at Flood’s Hill in South Orange when he was growing up. He can’t wait to take our daughter this year.” – Carrie L.
Bunny Hill in Kearny by the Applebees. Grew up sledding there and now take my kids. [It’s a] Pretty big hill!” – Renee L.
The Mountain Way School, in Morris Plains, has a majorly steep hill. The ultimate for sledding. That’s where we used to go all the time.” – Hilary M.
“My family loves the giant hill at Holmdel Park. We’ve been going there since my now 6-year-old was two!” – Reesa L.
“For little ones, Tower Hill in Red Bank otherwise, Holmdel Park.” – Jackie P.
“Cemetery Hill which is behind Aldi on Rt 36 in West Long Branch.” – Amy M.
“Monmouth Battlefield State Park in Manalapan has a nice hill that is popular for sledding.” – Melissa M.
Nash Park in Clifton, right across from the best hotdogs all the way: Hot Grill!” – Lisa I.
Psst! We love seeing your adventures around New Jersey. Don’t forget to hashtag #NJMOM and tag @njmom and your little cuties could be featured in our next photo round-up. TJ hill is in Teaneck -and it is awesome! So just right down Cardiac or? Monmouth County; not highlands elementary…it is the towns emergency management staging area for storms/floods. It is used for borough and emergency vehicles and a staging area. Thank you, Mary. We will remove from the list. “Nash Park in Clifton, right across from the BEST hotdogs all the way: HOT GRILL! !” – Lisa I. Is in Passiac county not Hunterdon. when we were kids, we loved sledding down the hill at Leonardo Grade School. Also, Beacon Hill Country Club has an awesome hill. Where Camden county or Gloucester county? The hill at the Winslow foot ball field behind the Winslow shop rite that’s right on the edge of Gloucester two! Yep, they confused Clifton for Clinton. How un-NJ-ian, lol. Keep it coming 🙂 Loving your blog and happy family. Love from our little family to yours! throujgh ferryboat for an examine of Globe’s Fair from the West.